Cockroaches can contaminate food and furnishings and are carriers of diseases like dysentry and gastroenteritis. They breed incredibly rapidly and what may appear to be one or two cockroaches can quickly turn into a larger infestation. 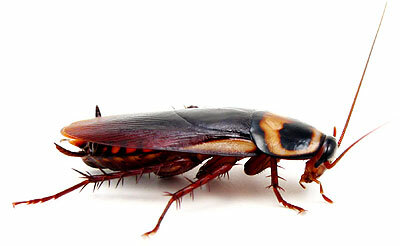 The more common cockroaches found in Australia are the German, Oriental, Australian and Smokey Brown. They’re attracted to food scraps left out as well as pet food and are often found to infest warm, moist areas of your home. Australian Pest Specialists will locate the infestation and treat it using a variety of methods that will be specific to your infestation. Don’t let a cockroach infestation take over your home, contact Australian Pest Specialists on 1300 42 42 66 for a pest inspection.